With a rich and extensive menu of every element of your customers perfect meal, Culinary Specialties has turned cuisine into an artform. With everything from small bites to entrees we take pride in serving dishes that are as pretty to admire as they are delicious to eat; and that’s not all we bring to the table. We do all this while adhering to the highest food safety standards in the industry, maintaining the highest quality food packing and delivery and emphasizing the importance of sustainable food practices. Let your customers taste the Culinary Specialties difference. We make customized foods designed for hotels, hospitality, and service industries. We provide convention centers with a complete food menu for small to grand events. Our food is artful crafted and prepared for the most pristigous country clubs in the nation. 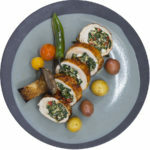 We make delicious quality dishes that helps catering companies ease the busy catering work. Your passengers comfort is priority one, give them the best with our airline friendly meals. 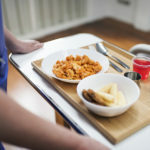 Our ready to go meals and dishes can be enjoyed by patients, doctors, and all hospital staff. With the many decisions facing today’s Chef, none is more difficult than deciding whether or not to make it in house. 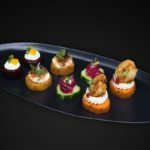 Culinary Specialties aids in that decision giving you another set of hands in the form of custom made appetizers and entrees. Whether made-to-spec or off the shelf, their quality products are perfect for labor savings or when you’re in a pinch. Thank you to Daniel and the Team for all the services Culinary Specialties provide with quality products and fast service in an unpredictable and changing Culinary Environment. Truly 5 star service in our eyes. I have worked with Culinary Specialties for a number of years at various properties and they have always delivered. Their quality and attention to detail is spot on and why I continue to use them and bring them in wherever I go. My rep Daniel Collins is great, whatever I need he does his best to get it to me and is always available if I have any questions. Accurate, efficient, loyal, prompt, professional service! Creative, Cutting Edge Culinary Talents. I have been very impressed with the quality. service and professionalism that we get time and time again from Vivian Elwell and the team from Culinary Specialties, INC. This is a tough, fast-paced business and I can be assured that every challenge I get, Vivian will come through on time and with the right quality. Sign-up for our newsletter and get the latest news and info from us.